We've partnered up with HoneyBook to make your wedding planning as easy as can be. 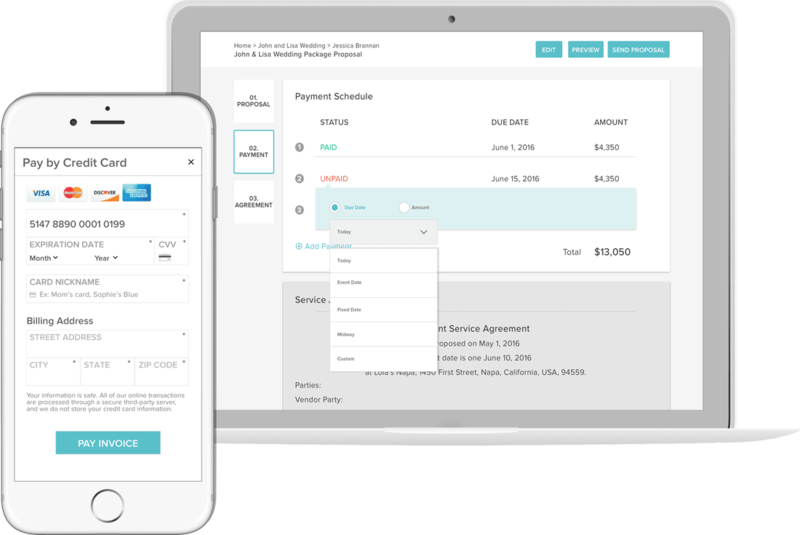 You'll be able to make payments, approve timelines, and share information with vendors, all from your laptop or smart phone! Once you start planning with DMWTB, you'll have access to all your files in one place, all without needing to create a log-in.